Regular package for air conditioning hose is poly stripes, we can also pack hoses as customers' request. We Can Print As Customers' Request. When making A/C hose, mandrel process is used here. That means there will be a mandel when making inner tube in order to make the inner diameter sizes more precise. For the cover, it is mill finish and shining, a layer of PVC is added when making the cover, then we will do some vulcanization for the cover and remove the PVC layer finally. And there are some very small holes on the cover for gas evacuation not to let the outer tube burst. All the production skill will guarantee our A/C hose to have good performance. A/C hose is mainly used to convey the medium of refrigerant such as R134a, R12, R22 etc. Applied widely to auto refrigeration in automoblie air conditioning system like bus transit system. For regular A/C hose has four layers, we call this A/C hose as type E air conditioner hose. Inside tube is nylon (PA), middle layer is EPDM or IIR (Isobutylene-Isoprene Rubber), the reinforced layer is PET or single high strengthen weaving fiber braided. Outer tube is EPDM with black and smooth cover. Here is another type of A/C hose with five layers. 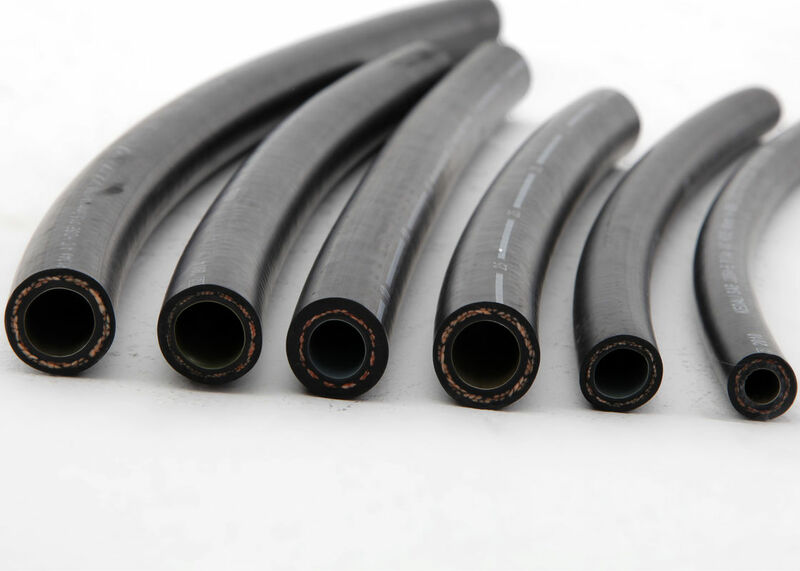 The inside tube is EPDM not PA. We call type C air conditioner hose. 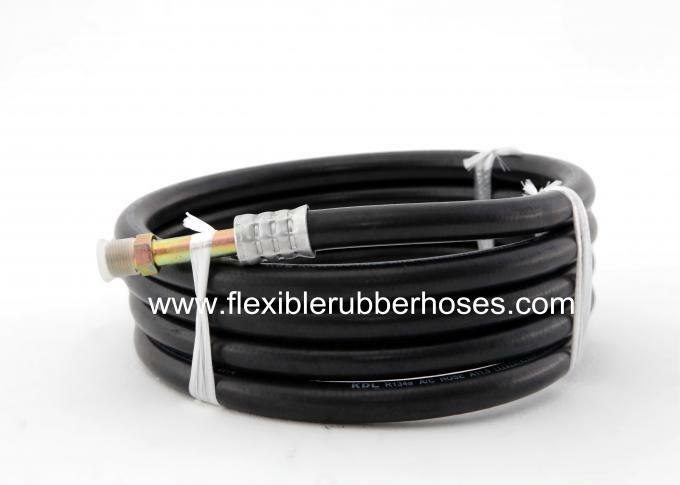 Air conditioning hose is one of the rubber hoses that we have been promoting. Quality is priority, for air conditioning hose, quality is very stable. 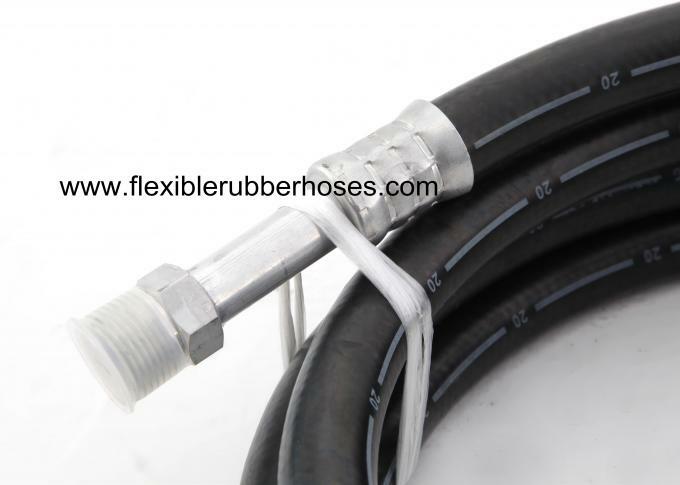 It is one of our high-end hose. the synthetic rubber content for this hose is up to 40%, which is high in the range of rubber hoses.